Football is over, baseball hasn’t started yet, it can only mean one thing – it’s Girl Scout Cookie season. If you’re not lucky enough to be bombarded at your place of business or your home with order forms, don’t fret. 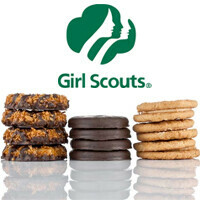 Girl Scouts of the USA has released a Cookie Finder app for iOS devices that will help you get your yearly fix. Whether your crutch is Samoas, Thin Mints, or anything in between, Cookie Finder has your back. The app utilizes your iPhone’s GPS to determine your location and display cookie sales nearby. It shows you start and end dates of sales all around the country and, of course, it links up with Twitter and Facebook so you can share a cookie sale location. If you haven’t got your 2012 orders in yet, head on over to the app store to download the Cookie Finder by Girl Scouts of the USA for free. I'll take some Thin Mints and Tagalongs.